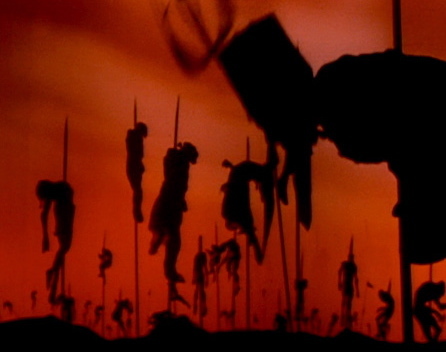 I’ve watched a documentary about our Vlad and the science behind his staking of his victims. Fact truly is scarier than fiction. Your story sounds fascinating. I’d love to read it! Sparkly and vampire are two words that should never appear in the same sentence…except for this one. Yay for history lesson and Bram Stoker. That was one of the few pieces from Victorian Literature class that was tolerable. Ever read about Elisabeth Bathory, the Blood Countess? I agree, Victorian literature is, by and large, a snooze-fest. I couldn’t bring myself to get through Middlemarch without skimming. And yes, the Blood Countess–definitely the female counterpart to Vlad. Actually, I think somewhere along the line those two are somehow distantly related, which is pretty crazy. I definitely read something about a Bathory in Vlad’s family at one point. Very interesting stuff. Thanks! I’ve got so many other things I’m working on right now, but I still hope to get started on this idea one of these days. It’s just too interesting for me to ignore, and I’m glad others thing it would be cool, too! That was a very prompt reply, must admit I wasn’t expecting that. My mother has dreams of being a writer. She has great ideas but no talent in using detailed writing which is why I have a feeling age is probably going to have me ghostwrite for her. (That will be a disaster) her vampire stories are going to be as she says “historically accurate” *snooze*. Based on Boudicca the warrior queen. So I don’t think your idea is that outlandish. Read a story where Germany never fell and watched an old startrek episode where Rome never fell. Both alternate history lines. Both awesome. Well again just wish you good luck. Sorry for being lengthy. Lol. 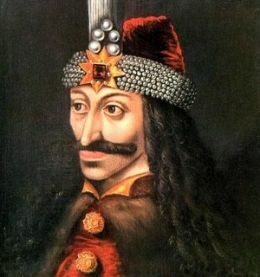 Vlad Tepes did what was necessary to defend the Faith and his people from the atrocities of the Turks. Read history deeper and you’ll see that the ISIS mentality of Islam is nothing new. Mehmet II was no humanitarian. Vlad had to go “way over the top” to defeat a vastly larger military force. He is still a hero of the Romanian and Hungarian people and people should respect our cultures if they claim to be “tolerant” and “embrace diversity”. Sometimes, excessive force is necessary for survival. That should be considered in a Darwinian context, not Vlad’s relation to religion. The WW2 generation of America are the only generation that can relate to this concept, it seems. Leftist may commit cultural suicide by letting a modern Mehmet subjugate them, but there will always be a Vlad ready for battle to ensure survival, Darwinian or otherwise. If you believe in God, then blame God. If you don’t believe in God, then blame the Laws of the Universe. I expect you’ll censor this, because it’s and alternate view and politically incorrect. 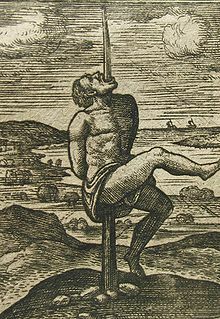 When free speech is eradicated, only the sword can speak.